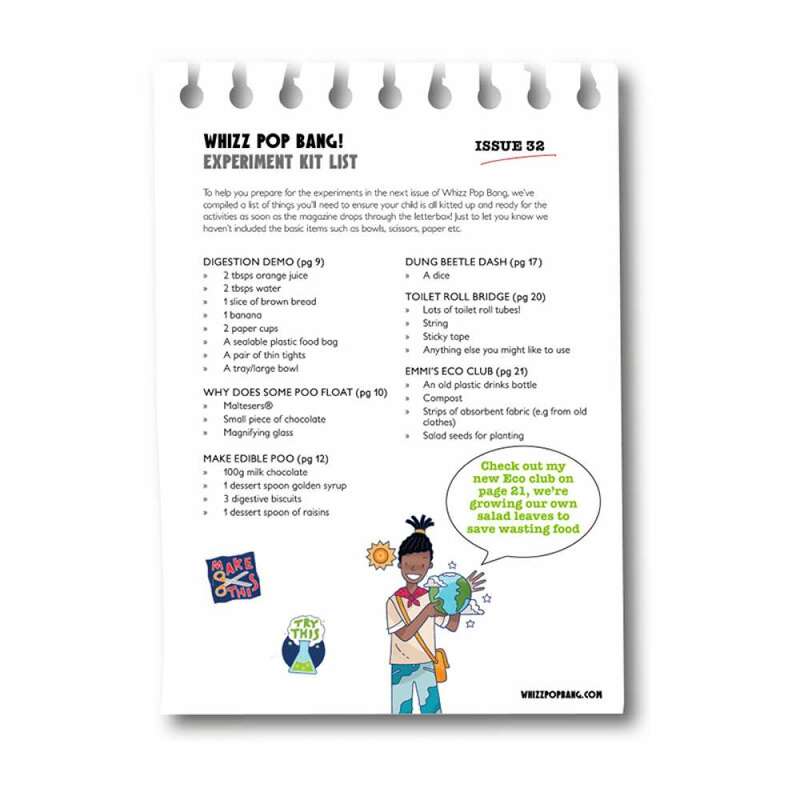 We’ve had stinking fun creating this extra smelly edition of Whiff Plop Bang! 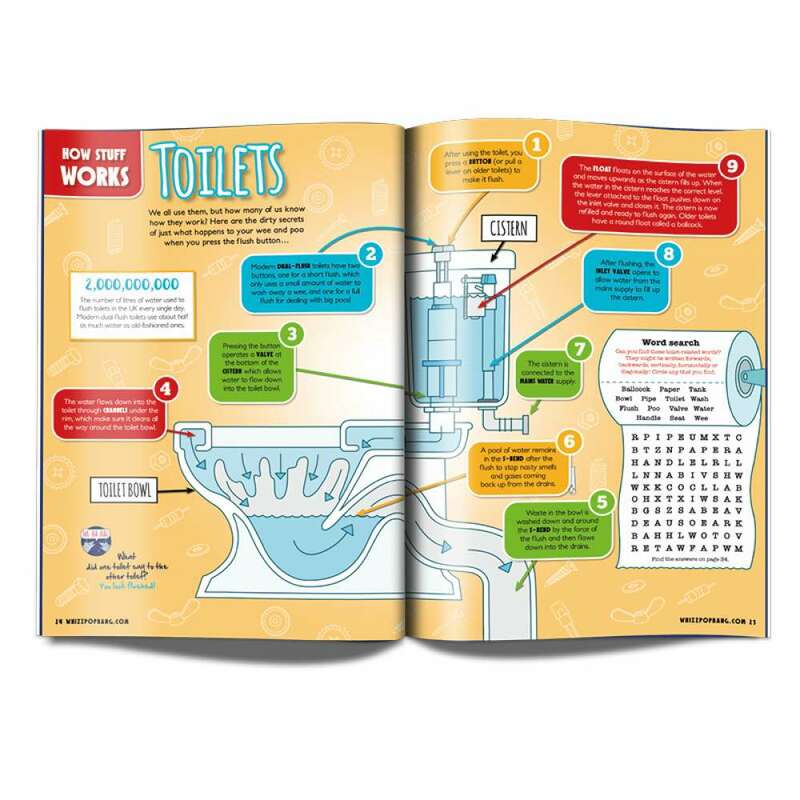 Gross though poos may be, we all do them – and there’s loads of science to be explored in them. So get your kids exploring the 'ick' factor with a recipe for edible poo, create a model of your digestion system and then battle against friends with your cut-out-and-keep Dung Ball Dash board game! 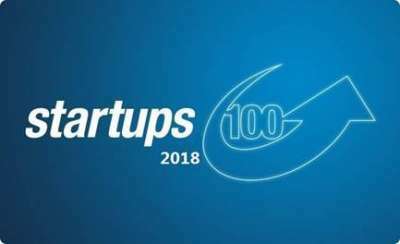 You can also explore what goes on inside London's sewer systems, get up close and personal with poo-flicking hippos and discover 10 awesomely amazing ways to use poo! 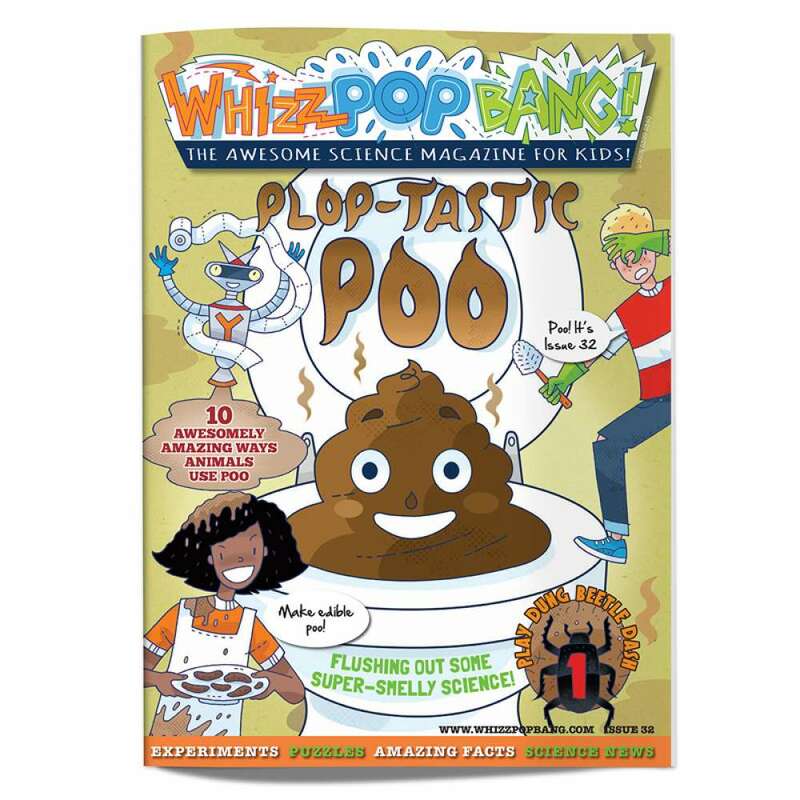 Turn toilet humour into science fun with the PLOPTASTIC POO issue of Whizz Pop Bang!